When Google quietly announced it was dropping support of the desktop Nik Collection in May, the photographers who relied on the image-editing software were supremely disappointed. The good news now is that imaging technology innovator DxO has purchased the Nik assets, with plans to deliver an update in mid-2018. In the meantime, the current version is available for free. Provide your email address, and DxO will provide the download link. Additionally, DxO PhotoLab has been released, a rebranding of the popular OpticsPro RAW conversion software, which now includes Nik Software’s U Point local adjustment technology. 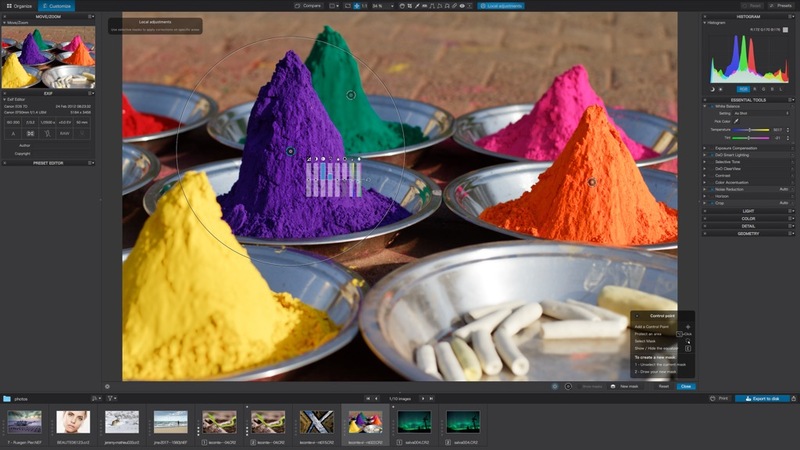 PhotoLab is now the only software to offer U Point technology in a nondestructive RAW workflow. DxO says the name change was made to reflect the increased power and versatility of the software. PhotoLab also includes a revamped Repair tool that’s better, faster and easier to use, an auto mask brush, a graduated filter and improved Lens Sharpness correction technology—available for almost 40,000 camera-lens combinations. 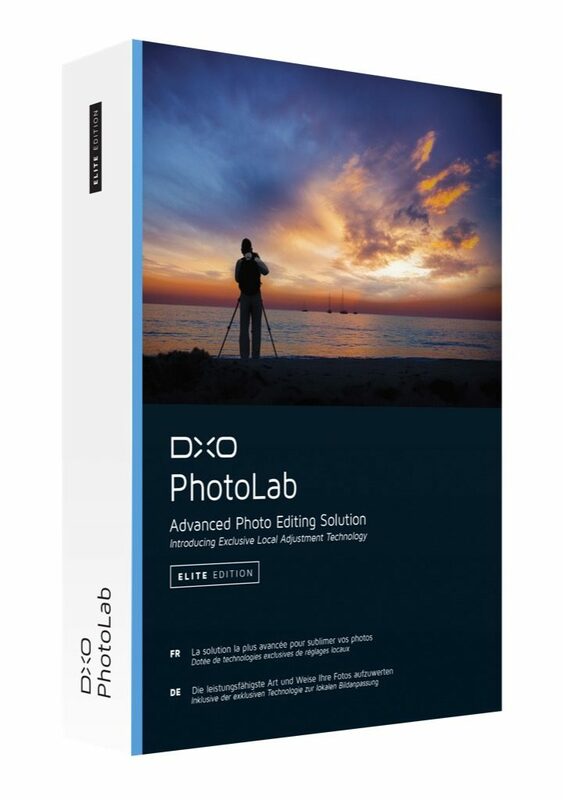 Through November 30, 2017, the DxO PhotoLab ESSENTIAL and ELITE editions (Mac and Windows) can be downloaded from the DxO website (shop.dxo.com) or from certain retailers for introductory prices—the ESSENTIAL Edition for $99 (normally $129) and the ELITE Edition for $149 (normally $199). 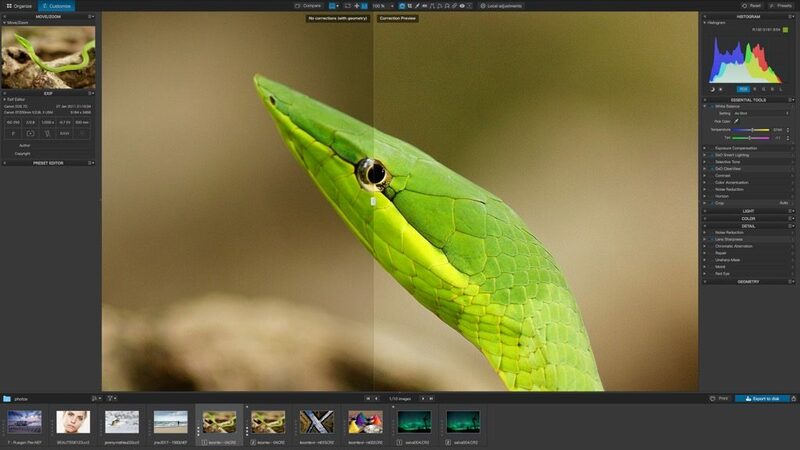 The ELITE Edition offers additional more advanced image-editing features. Photographers and other creatives who have already purchased a DxO OpticsPro license are eligible for a discounted upgrade license by signing in to their accounts at www.dxo.com, while those who purchased or updated a DxO OpticsPro license on or after September 1st, 2017, can upgrade the software for free. DxO acquires Nik Collection assets from Google, and plans to continue to develop the Collection for the benefit of the photographer community. PARIS – October 25, 2017 – DxO, one of the most innovative companies in consumer imaging, today announces the acquisition of the Nik Collection assets from Google. DxO plans to continue development of the Nik Collection. The current version will remain available for free on DxO’s dedicated website, while a new version is planned for mid-2018. For well over a decade, DxO has been developing some of the world’s most advanced image processing technologies, which have enabled over 400 million devices to capture the highest quality images achievable. DxO designs and manufactures the DxO ONE, a connected, miniaturized, and pro-quality camera for iPhone and iPad that has revolutionized the world of mobile photography. 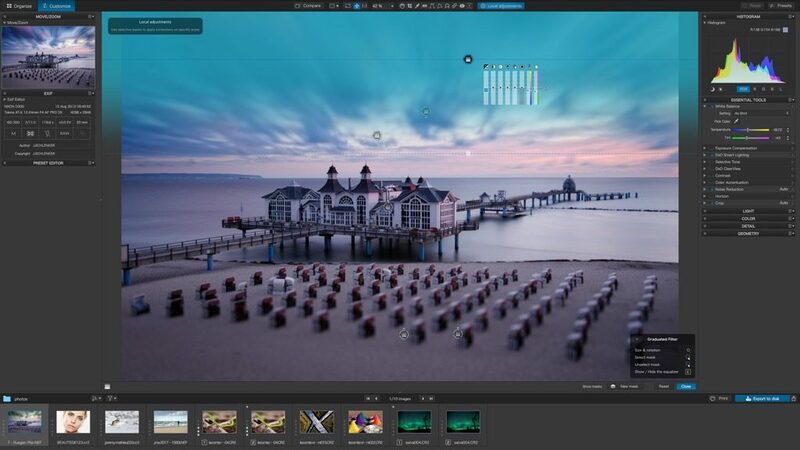 DxO also develops DxO PhotoLab, previously DxO OpticsPro, as well as other image processing software for Mac and PC, all of which have been acclaimed by top photographers the world over. DxO is a registered trademark of DxO Labs. Other trademarks and trade or brand names may be used in this document to refer to either the third-party owners of trademarks or to their products. DxO Labs makes no claims whatsoever with respect to the registered trademarks and brand names of third parties. By adding a comprehensive local adjustments solution, a new Repair tool and improved unique DxO Lens Sharpness technology, DxO PhotoLab sets the new bar in RAW processing for pro and enthusiast photographers. PARIS — October 25, 2017 — DxO, a pioneer in digital imaging technologies, today announces the immediate release of DxO PhotoLab, formerly DxO OpticsPro, its award winning RAW conversion software for Mac and PC. DxO PhotoLab introduces a comprehensive local retouching solution that is fully integrated into a non-destructive RAW workflow and includes former Nik Software’s U Point technology; an auto mask brush; a graduated filter; and a new Repair tool. In addition to these brand- new features, its RAW-file automatic Lens Sharpness correction feature has also been dramatically enhanced. DxO OpticsPro represents a complete RAW conversion solution that has far outgrown its initial scope, with unique features like DxO PRIME, the gold standard in noise reduction technology, and DxO Smart Lighting, an intelligent exposure tool. By adding powerful local adjustment tools, DxO OpticsPro now gives photographers new creative opportunities and ushers in a new era. Thus, DxO is proud to highlight this important evolution by giving its award-winning software a new name that reflects its power and versatility: DxO PhotoLab. Through the acquisition of the Nik Collection assets from Google, DxO has integrated U Point technology, a favorite feature of millions of photographers who use Nik Software products. This local adjustment technology allows users, with just a few clicks, to make complex selections, which would normally take meticulous, time-consuming work using a brush tool. Following this recent acquisition, DxO PhotoLab is now the only software to offer U Point technology in a non-destructive RAW workflow. To provide photographers with all the tools they need to make local corrections, DxO is rounding out DxO PhotoLab’s feature list with an auto mask retouching brush that’s perfect for making precise selections, especially on portraits, as well as a graduated filter tool that’s useful for landscape photography. These tools share many similarities with Control Points: they give all users access to essential settings options, including exposure, contrast, white balance, micro-contrast, vibrancy, sharpness, and the addition of a bokeh effect. For an even better user experience, all of these options are displayed in the Local Equalizer above the image, right next to the area being retouched. These controls are also fully integrated in DxO PhotoLab’s RAW conversion feature and are non- destructive. For example, users can restore highlights locally by using the extra data contained in the RAW file without changing the rest of the photo. Photographers who use JPEG files can use these local adjustment tools as well. DxO PhotoLab also lets users work with maximum efficiency by allowing them to use several different tools within the same selection. DxO PhotoLab includes a repair tool that has been rebuilt from the ground up. The interface is just as simple as before, featuring a simple brush that can be used on the areas that need retouching; but the underlying algorithm provides much better — and faster — results. This revamped Repair tool is now a fully-formed corrective tool that lets users quickly and easily get rid of undesirable elements in their photos. Photographers who purchased a license for DxO OpticsPro can get a discounted upgrade license for DxO PhotoLab by signing into their customer accounts at dxo.com. Photographers who purchased or updated a DxO OpticsPro license on or after September 1st, 2017 can upgrade their software for free. A full, one-month trial version of DxO PhotoLab is available at DxO’s website: http://www.dxo.com/us/photography/download. For well over a decade, DxO has been developing the world’s most advanced image processing technologies, which have enabled over 400 million devices to capture the highest quality images achievable. DxO designs and manufactures the DxO ONE, a connected, miniaturized, and pro-quality camera for iPhone and iPad that has revolutionized the world of mobile photography. DxO also develops DxO PhotoLab as well as other image processing software for Mac and PC, all of which have been acclaimed by top photographers the world over.